Just north of where Hudson Square is making the transition from a heavily residential to a highly coveted residential area, 127 Leroy Street is experiencing a transformation of its own. The West Village site was once home to a one-story warehouse occupied by Pat LaFrieda Meat Purveyors. The butcher has since relocated to North Bergen, NJ after outgrowing the space, and construction of a nine-story condominium has just topped out. 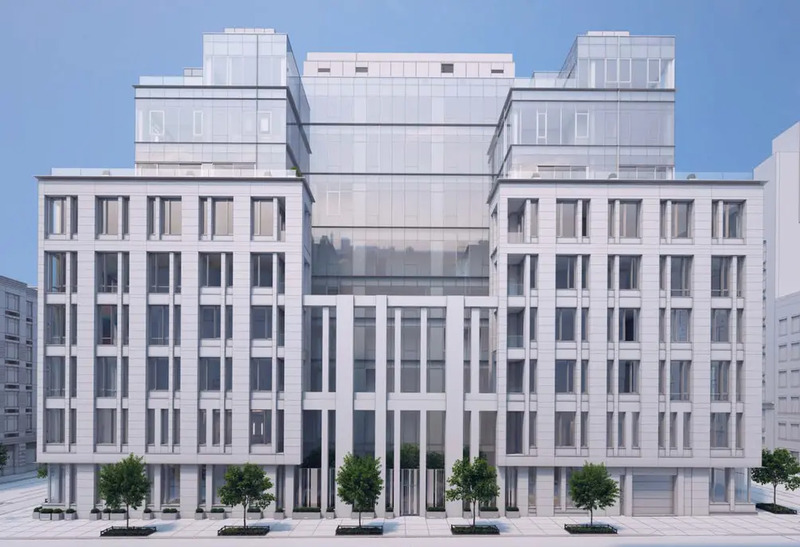 Next up is the stone and glass façade, according to renderings of a design by BKSK Architects released by Shibumi Development. Oversized, deeply inset windows will be surrounded by varying depths of stone piers and spandrels. An open, grade-level courtyard will run through the center of the building. Additional amenities will include cellar-level recreation space and parking for 12 vehicles. The relatively small size of the new building raised some eyebrows, but the apartments are big enough to overcome most objections. The cellar triplex will stretch up to the second floor. Floors 3-5 will only have two units per floor. 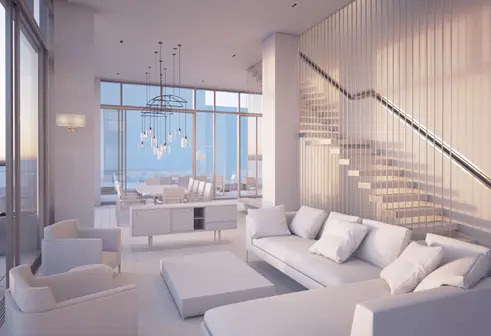 The building will be topped by a single, glass-sheathed quadruplex penthouse with large outdoor terraces, all the better to enjoy spectacular sunsets and Hudson River views. 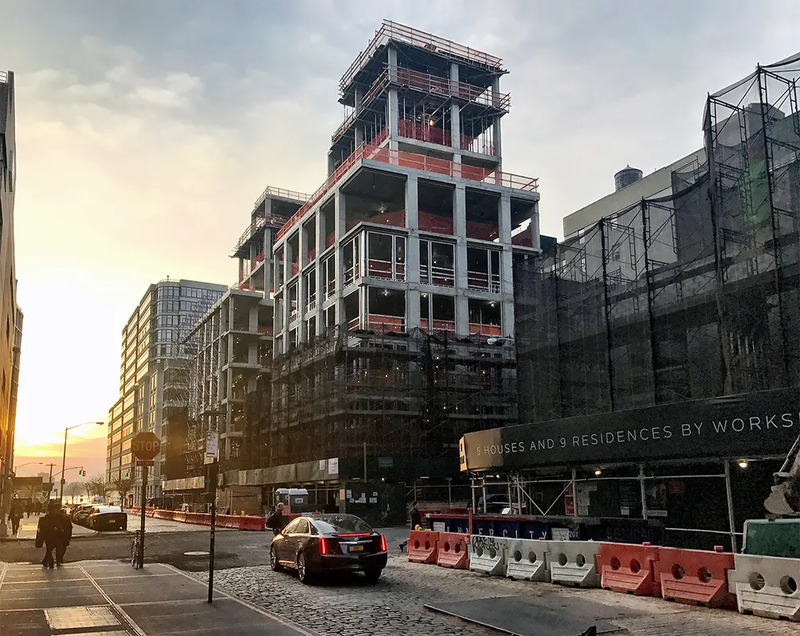 The new condominium at 127 Leroy Street is rising in a particularly active area of the West Village. 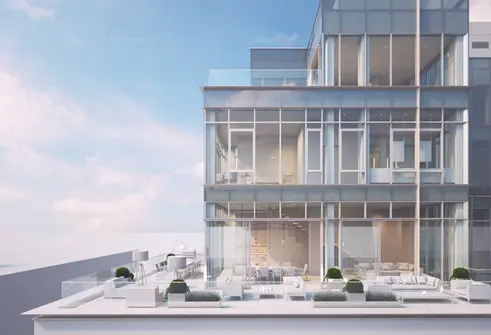 It is down the street from 160 Leroy Street, which boasts a development team led by Ian Schrager, a design by Herzog & de Meuron, and listings starting at $6.95 million. A block away, the few current availabilities at The Printing House start at $2.5 million. Sales just launched at 90 Morton Street, and listings start at $5.3 million. The new cooperative at 100 Barrow Street is now 80% sold, and remaining listings start at $3.32 million. The apartments and amenities of Morton Square set new standards for the neighborhood and attracted such celebrities as Daniel Radcliffe and the Olsen twins; current availabilities start at $3.5 million. According to CityRealty data, the average West Village price is $4,318,517.